Alphabet learning can be fun. 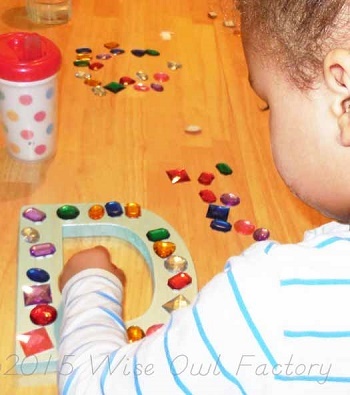 Oh, gee, did we have fun decorating wooden letters as part of an inspiration train from Fairy Dust Teaching and Sue Butter’s Kindergarten class. 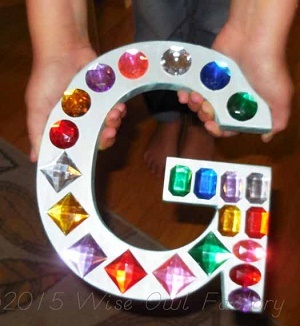 Fairy Dust Teaching has a Reggio Emilia post about students decorating wooden letters on their birthdays, and Sue Butter’s kindergarten did a similar project on the first day of this school year. Having heard about both, of course, I just had to try something similar and make a printable. Naturally, I have a different take on it and so please use the printable as fits your classroom, homeschool, scout group, or home. 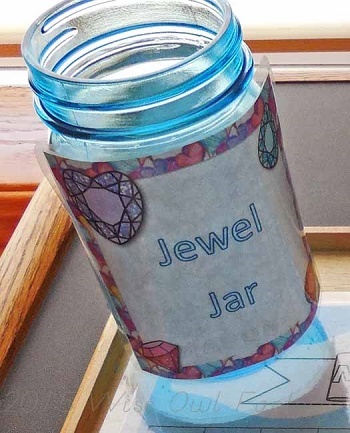 My idea was that children’s initials as well as jewels are motivating, so we made jewel jars for reinforcement for learning letters, practicing the piano, doing homework, and other activities that may require a bit of encouragement. An adult may decide when new jewels are added to jars. 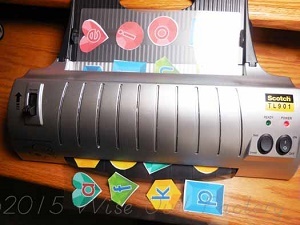 The label for the jewel jar is included in the printable, too. The jewel jar could be used in many different ways. To set the stage, the painted wooden letters were decorated with peel and stick decorative plastic jewels. For the some children, we needed to start pulling the corner so they could pull off the rest of the backing. 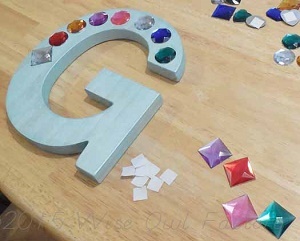 Here is a wooden letter in the process of being decorated. And here is another letter which is almost complete. Such concentration! 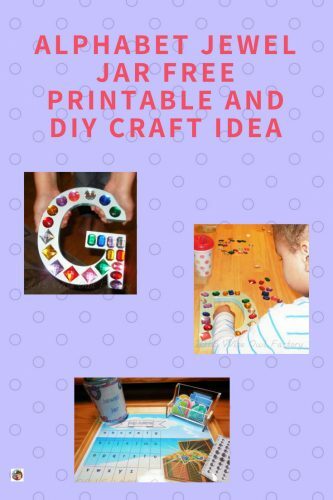 Some of us were learning our lower case letters so I laminated letters on jewel clip art as part of this activity. 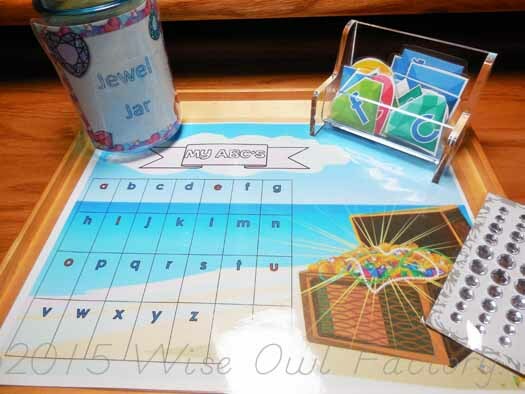 Here is the jewel jar being used to help reinforce letter learning. An alphabet chart is included in the printable, as well as a chart that is just numbered for generic use. We hope you like our activities! 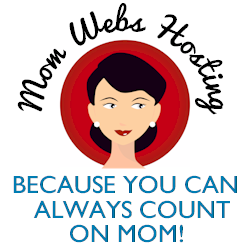 I have been changing hosts and working on my blog behind the scenes recently and am getting things in order again. Thank you for your patience!